A Korean research team led by Professor Jeong Ho Lee at the Korea Advanced Institute of Science and Technology (KAIST) has recently investigated the molecular mechanism of defective neuronal migration in FMCDs. Their research results were published online in Neuron on June 21, 2018. 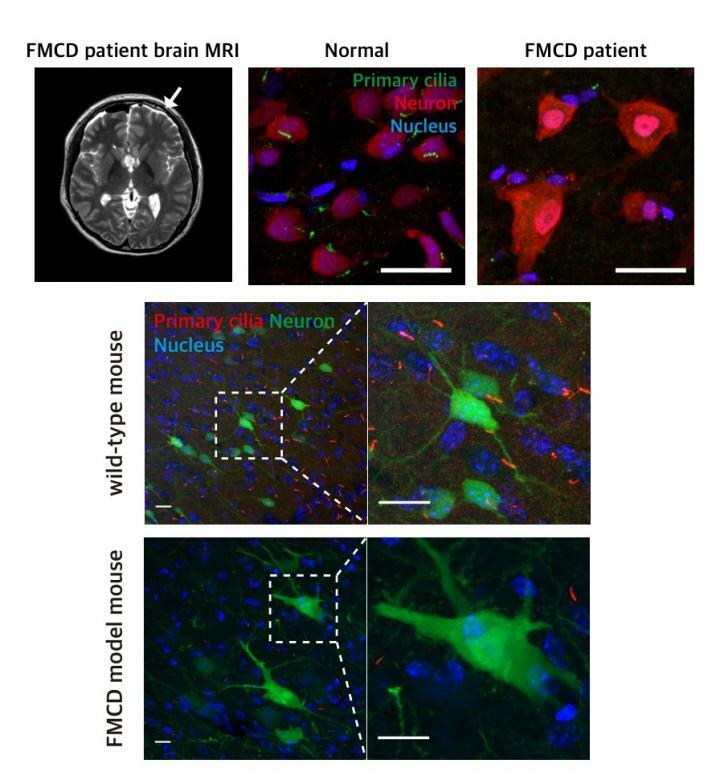 To study the molecular mechanism of brain cortical dyslamination, the research team utilized patients' brain tissues and modeled the MTOR mutation-carrying cell and animal models recapitulating the pathogenesis and symptoms of FMCD patients. By performing comprehensive molecular genetic experiments, they found that the formation of primary cilia, one of cellular organelles, was disrupted in MTOR mutation-carrying neurons and demonstrated that this ciliary disruption was a cause of cortical dyslamination in FMCDs.